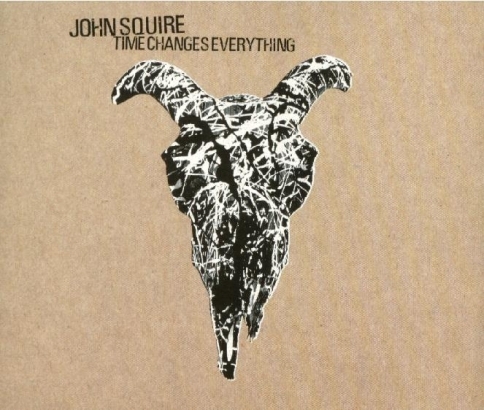 In September 2002, Squire released his first solo album, Time Changes Everything, on his own North Country label. It was recorded in his farmhouse in the Peak District, close to Macclesfield. Now settled with a new partner, the music was rustic, reflective, acoustic and homely, with shots of subdued electric guitar. The title possibly stems from dialogue of D. A. Pennebaker's 1967 Dylan documentary, Dont Look Back. 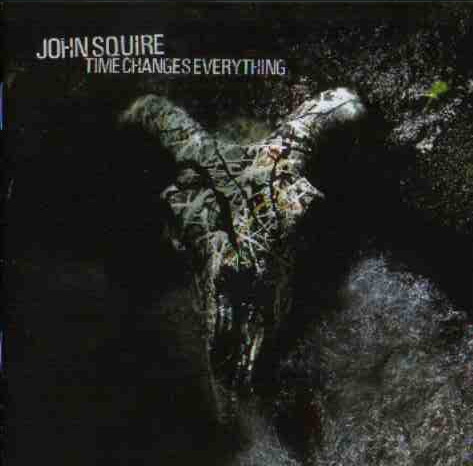 The Time Changes Everything artwork is from 'Animal Skull' (animal skull, household gloss, 2002). 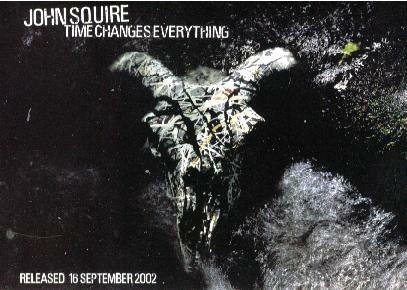 Top left: Time Changes Everything promo CD front cover. Click here to view the collage of photos from the LP release. Top right: Time Changes Everything CD front cover. 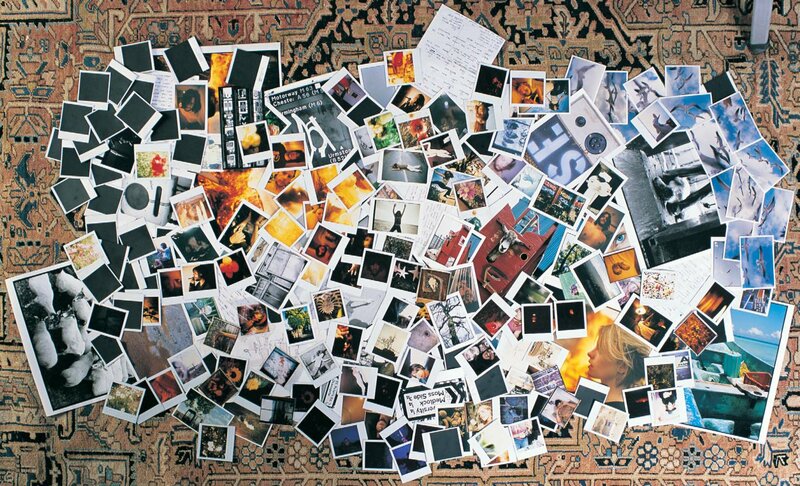 Bottom left: 'Animal Skull' by John Squire, from the ICA exhibition. 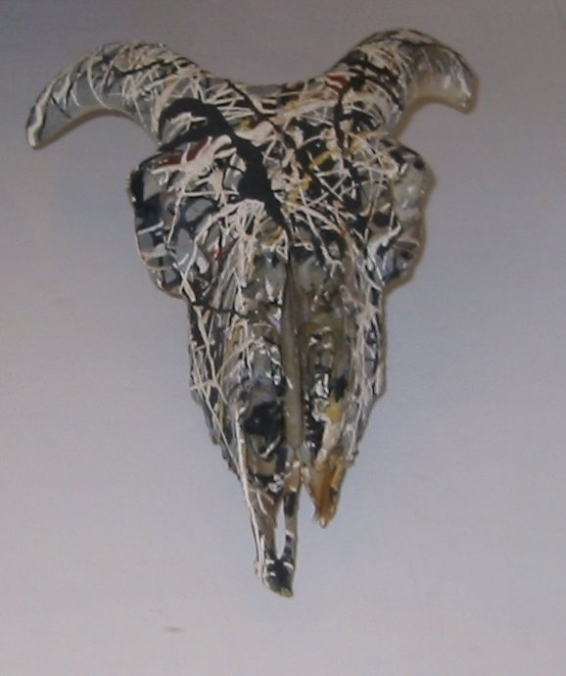 This is John Squire speaking to The Guardian in May 2004 about this work: "I found this on a walk - it had been picked clean by a scavenger. It was bleached white. I thought it could do with a lick of paint. I used it for the cover of my first solo album - I wanted to make that connection with The Stone Roses - celebrate and bury them at the same time." Bottom right: Time Changes Everything promo card.